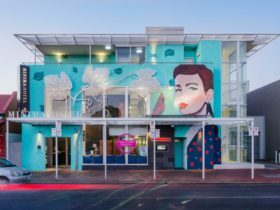 Superbly positioned on Melbourne Street, in the heart of trendy North Adelaide, the Adelaide Meridien Hotel & Apartments is the perfect base for your next stay in Adelaide, surrounded by an abundance of restaurants, cafés, galleries and boutique shops. 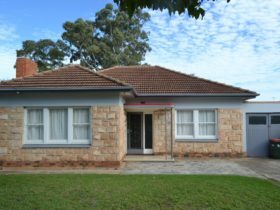 Within walking distance to key Adelaide attractions, including the Adelaide Zoo and Adelaide Oval, and just a short (free) bus ride to the city and Rundle Mall shopping precinct, you will enjoy the convenience of the central location. 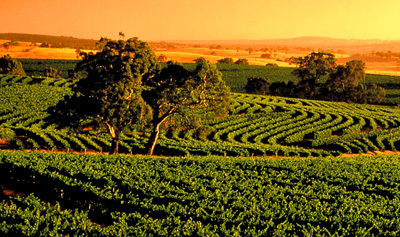 Kick-start your day with a freshly ground coffee or gourmet tea from Angus & Co. North Adelaide, serving breakfast and dinner seven days a week. Whether it’s just a beverage you’re after, or a hot breakfast, burger, schnitzel or steak, Angus & Co. will have something for you. 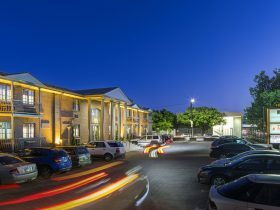 With premium conference and business facilities, free guest parking (subject to availability), outdoor swimming pool and spa, free bike hire and more, the staff at the Adelaide Meridien will ensure your stay is as comfortable and enjoyable as possible. 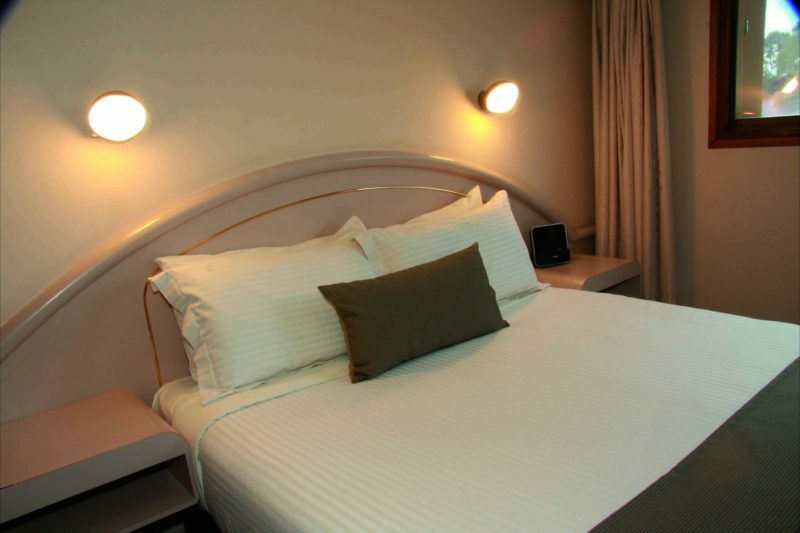 The two bedroom apartment is a spacious hotel-style apartment. The main bedroom has a queen bed, the second bedroom has two single beds. In addition to a small bathroom, the apartment’s living area has a double sofa and a kitchenette, with basic cooking facilities (microwave, toaster, electric fry pan, crockery and cutlery). Suitable for up to five people when utilising the sofa bed. The standard room is a spacious hotel room offering a living area with double sofa and separate bedroom with a queen bed. Standard rooms have a small en suite bathroom leading off the bedroom and a breakfast bar area with sink, where you can make a cup of tea or coffee. Sorry, no kitchen facilities in this room. Suitable for up to three adults, or two adults and two children sharing the sofa bed. 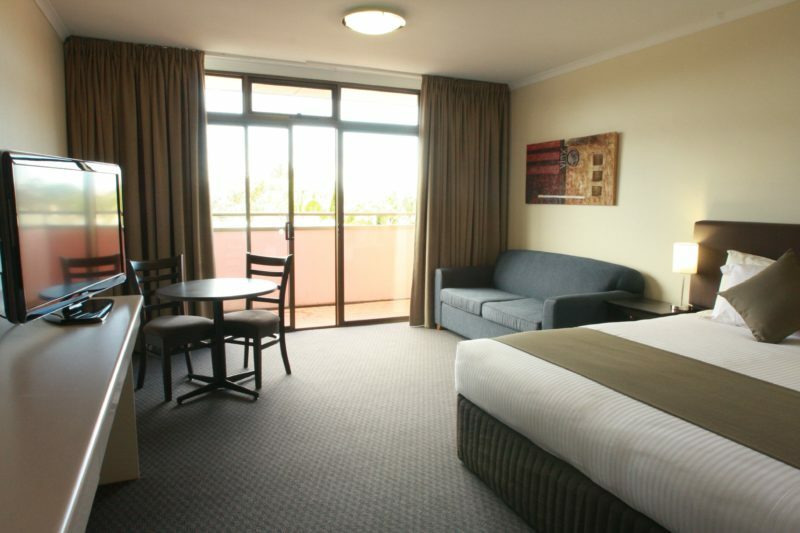 Upgrade to an Executive Studio and enjoy a large hotel room with king size bed and spacious en suite bathroom. Studios are the perfect corporate accommodation, with contemporary furnishings, an additional sofa bed, plus private balcony with views of vibrant Melbourne Street, or to the Adelaide Hills. Studios have the option of shower only, or bath/shower in the en suite. King bed can split into two single beds if required. Interconnecting rooms available. Suitable for up to three adults, or two adults and two children sharing the sofa. A Budget Room is an economical room with queen size bed and small en suite bathroom. Just right for those who need not much more than a comfortable place to rest their head overnight. Suitable for two people. Our largest rooms in the hotel, the Executive Spa Rooms have contemporary furnishings, with a king size bed and sofa bed. Just right for an indulgent night away, the en suite bathroom also features a large corner spa bath. While there is no balcony, Spa Rooms do have large picture windows so you can get a great view of Melbourne Street. The king bed can split into two single beds if required. 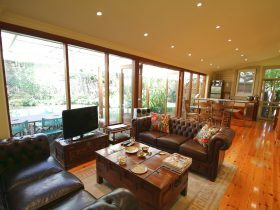 Suitable for up to three adults, or two adults and two children sharing the sofa. The One Bedroom Apartment is a spacious hotel style apartment offering a living area with double sofa and separate bedroom with a queen bed. 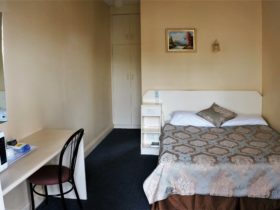 One Bedroom Apartments have a small en suite bathroom leading off the bedroom and a kitchenette, with basic cooking facilities (microwave, toaster, electric fry pan, crockery and cutlery). Suitable for up to three adults, or two adults and two children sharing the sofa bed.